3AW RADIO (693): Breaking news, views and analysis. Melbourne's No.1 radio station - the best in breaking news, views and analysis. Melbourne's most successful radio station also provides you with the best in entertainment, sport and lifestyle. 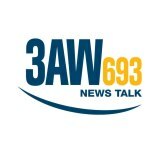 3AW.com.au allows you to listen live, re-live the highlights and voice your opinion with their new blog function.